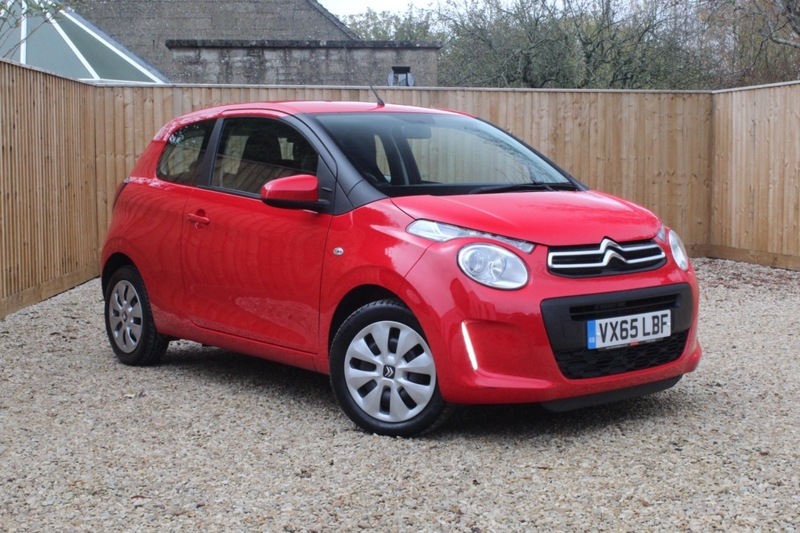 Crudwell Garage Ltd is delighted to present for sale this stunning Red Citroen C1 with just 4000 miles on the clock! The vehicle includes a touch screen infotainment system with bluetooth and phone connectivity as well as air conditioning and electric windows. You can expect high miles to the gallon from this great little runner and £0 road tax! Price includes a 6 months/6000 miles mechanical breakdown warranty with roadside assistance and recovery. At Crudwell Garage Ltd we put all of our vehicles through a rigorous appraisal process, checking the condition of the vehicle, highlighting any defects, and checking for any outstanding safety recalls. We check all of our prices daily using Autotrader market data so you can be confident in our fair and realistic prices. Part Exchange Welcomed. Please see our website www.crudwellgarageltd.co.uk for our finance deals. If you have any questions or to arrange a Viewing/Test Drive, Please call us on 01666 577242 and ask to speak with John Dunn (Sales Manager). Alternatively, you can call us on: 07581 399 879 (John Dunn) or 07956 487 525 (Rob Golding). Opening Times: Weekdays: 8.30am - 5.30pm and Weekend: 10:00am-1:00pm (Viewing and Test Drives available outside of these hours by appointment only).